The secret to a fresh look? 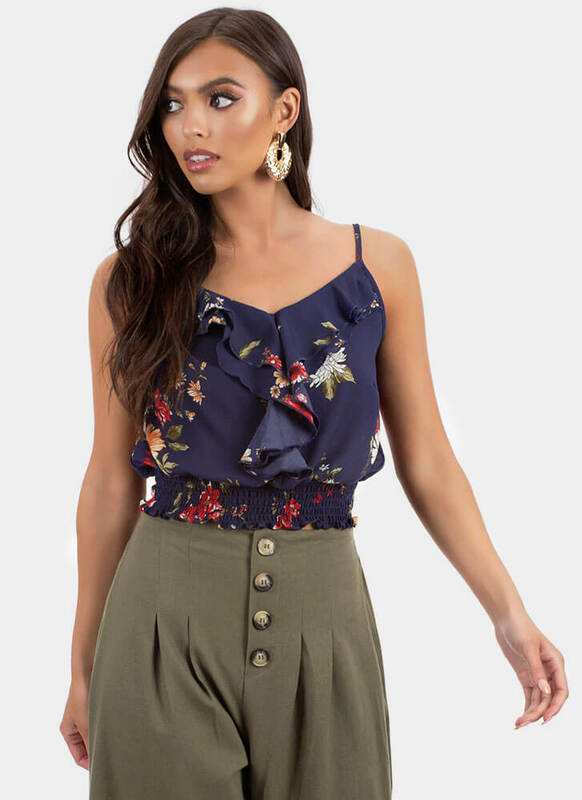 A little floral print! 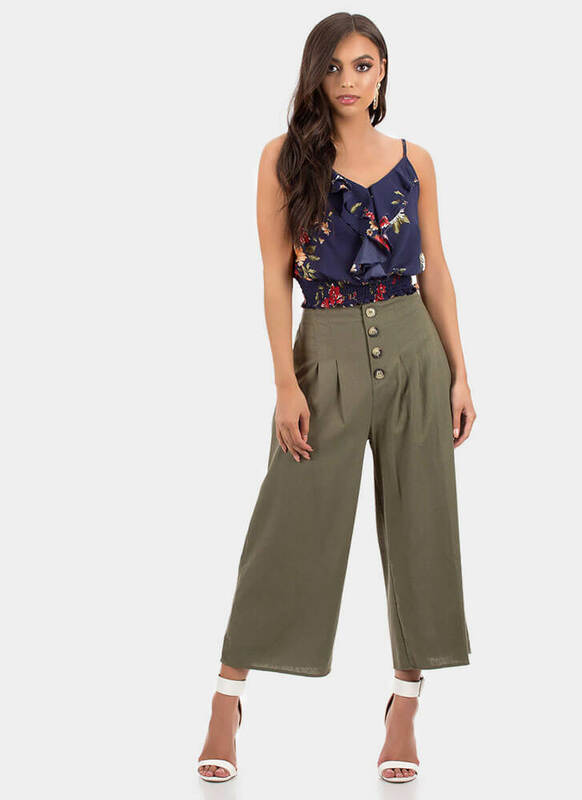 Sleeveless, lightweight, non-stretchy crop top features a puffy silhouette, a ruffled neckline, a smocked bottom hem with a frilly lettuce edge, and an allover floral print. Top is finished with adjustable shoulder straps and no closures. Pattern placement may vary.